Surface Concept's new open face detector combines NOVA Scientific's NEW patented and unique NeuView™ neutron-sensitive MCP technology with the world's fastest, highest resolution and reliable Delay Line Readout technology that was developed by Surface Concept. Surface Concept produces and delivers these great new products integrating the NeuView™ plates from NOVA Scientific. These very user-friendly and 'turnkey' Delay Line Readout Systems are capable of simultaneous very high spatial and ultra-fast timing resolution, placing the combination of Surface Concept and NOVA Scientific at the very cutting edge in neutron detection. The demountable MCP neutron imagers offer a unique combination of large field-of-view- (FOV) areas - of up to 150 mm diameter - with very high spatial resolution (down to ~35 µs is possible), and at the highest possible time resolutions (0.1 to 1 µs for low energy neutrons). The Surface Concept delay line readout system is clearly the most robust and user-friendly electronic MCP readout, and enables uninterrupted time-resolved imaging at neutron count rates per square centimeter, of several million thermal, cold, or ultra-cold neutrons per second. Additional synchronization channels are optimized and can be combined to get not only 3D but also 4D or even 5D dynamical neutron radiography/tomography tasks rapidly resolved. Most research scientists have utilized 3He gas tube detectors in the past, but this first generation 'gold standard' neutron detection material has recently become dramatically more expensive and indeed difficult to procure, because of recent supply/demand imbalances. NOVA Scientific and Surface Concept are at the forefront with a second generation 'solid state' detection solution, and have teamed up to revolutionize the detection of neutrons - offering for the first time simultaneous high spatial and ultrafast timing resolution (x,y,t) for every detected neutron. 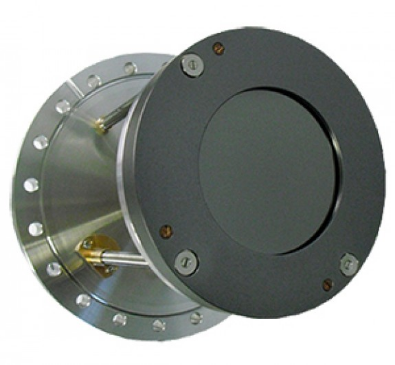 Our demountable neutron detector product family is designed for researchers with the most demanding cold and thermal neutron imaging and timing applications. "Plug-and-Play" technology allows for complete turn-key neutron detection and imaging, capable of extremely fast time-tagging of individual neutron events (~0.1 to 1 µm time-tagging resolution) coupled with outstanding spatial resolution down to ~35 µm. The system includes power supply, software, and firmware for display of images, in various data display configurations. There is nothing comparable available anywhere on the market for neutron researchers. Call us today at 727-532-6144 for additional information.